Engagement rings come in a variety of colors these days–there is no rule about what makes an engagement ring. Many women do not want the look of a traditional diamond engagement ring and that’s great! We love to be able to help someone express their own personal style, especially with an important purchase such as an engagement ring. One of our most popular alternative engagement rings feature black diamonds. 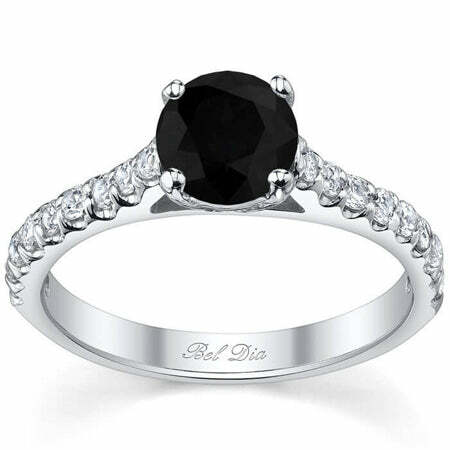 Below are a few of my favorite black diamond engagement ring designs that deBebians currently has to offer. Which one is your favorite? 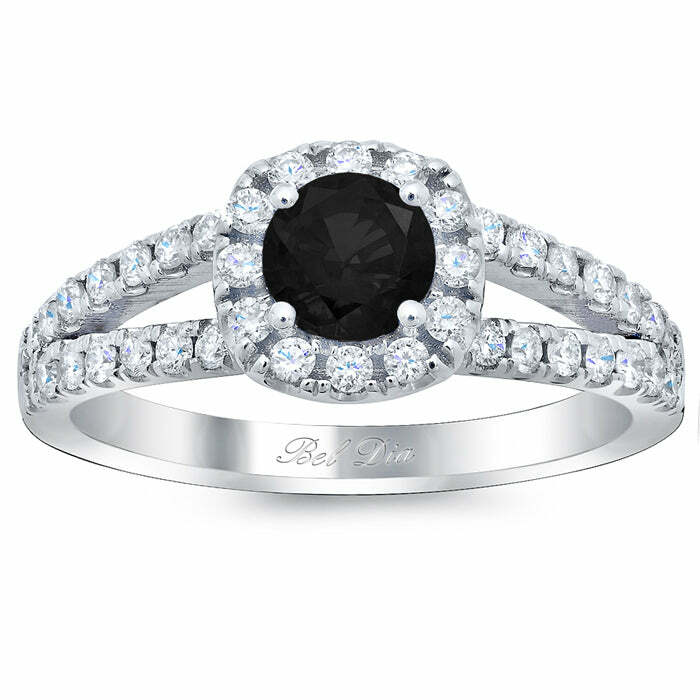 This timeless design features a round black diamond center stone and a diamond accented band. The diamonds go partway down the band and are set u pave. You may choose a 1.00 ct, 2.00 ct, or 3 ct. center stone, depending on the look of the ring that you want. We use G color VS clarity white diamonds, which sparkle beautifully on the wearer’s finger. A cushion halo surrounds a round black diamond center stone and the split shank gives this ring a completely different look. The center stone can be customized to be a 1 carat, 2 carat, or 3 carat center stone. We hand choose VS clarity and G color accent diamonds to give the ring the most sparkle and brilliance imaginable. 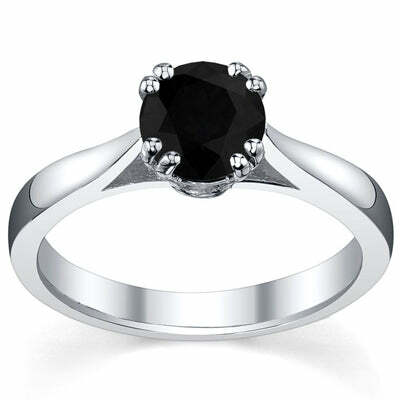 If you prefer the look of a solitaire, we also have those that feature a black diamond. This ring features double prongs to securely hold the center stone into place. Our engagement rings can be purchased in your choice of 14 karat gold, 18 karat gold, palladium, or platinum.